Chimacum Tack is a family owned and operated business, known for our high-quality harness and driving equipment. We specialize in driving harness, with a focus on American-made products hand-crafted to fit, and guaranteed to perform. We offer all types of harness – pleasure, work, and sport – as well as harness parts, and a wide variety of equine products especially for VSEs and Drafts. We specialize in hard-to-fit sizes for mini, donkey, draft, and other animals, and are known for our old-fashioned customer service. 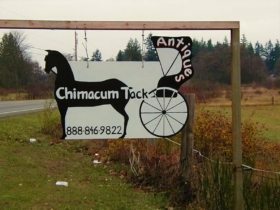 Chimacum Tack started in 1992, in response to a need for a local tack supplier in rural Jefferson County, WA. Janie and David Amdal lived on several acres in Chimacum, WA, and next door was his sister, Mary. Their youngest daughter, Maren, was beginning to show horses through the local 4-H program. The nearest tack store was more than 20 miles away, and to top it off the owner was rude, and the prices were high! David had sold Antiques for many years and had a retail store in the front third of a 30×70 foot pole building on their property. Janie, a professional educator in Kitsap County, knew that one day she’d be ready to retire from teaching. She also knew there was a need for a tack store nearby. So, they figured out how to borrow enough capital, built a 6×8 foot addition onto the antique store, and The Chimacum Tack Shack was born! The first few years brought new products, new distributors, new customers, and, as the story now goes, Janie continued to “bump Dad’s Antique’s over” to make room for the expanding tack business. Janie soon realized that if the store was going to be successful it needed to branch outside their little rural community. At that time, the Amdal’s middle son, Patric, was earning his degree in computers through the local community college. After lots of discussion, everyone agreed that joining the internet revolution was the thing to do, and that a niche market was the best way to achieve success on the World Wide Web. Janie had developed a relationship with an Amish harness maker in Iowa who made custom-order high-quality leather goods. A few clicks of the mouse were all it took to realize that equine driving equipment was hard to come by, and so it was that www.horsedriver.com was born and Chimacum Tack joined the dot-com world of the 1990’s. Patric remarried and began working for Microsoft in Redmond, WA. Maren graduated High School and moved away to college. The big old 4-H horses found new homes. Janie and David discovered a fondness for miniature horses and their owners. 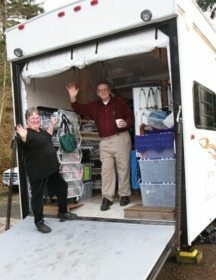 They began hauling tack to shows, eventually hiring local customers to “watch the shop” on weekends during the summer as they traveled to miniature horse shows throughout the Pacific Northwest. An expanding retail location supported the development of the growing web business, and all was ready to support Janie when, in 2002, she retired from teaching after more than 25 years. In early 2005, Janie and David decided that they were ready to take advantage of the freedom their retirement afforded. They came up with a plan; they would sell the retail location and the house, and travel the country in a motor home selling tack at miniature horse shows. They found a great truck and the perfect fifth wheel toy hauler. Then, they found the perfect buyers for the brick-and-mortar shop, and the details all fell into place when in October, Maren, who had since purchased her first home in Minneapolis, agreed to create a new website and manage the warehouse and shipping. The sale of their property finally closed in early 2006, with Janie and David already at their first show of the season in Oregon. It was such a big change, even the local paper did a write up! Two years of driving around the country, visiting customers and hauling tack to shows was a grand adventure. The Amdal’s enjoyed meeting friends and visiting family, seeing the sites and petting many, many minis. 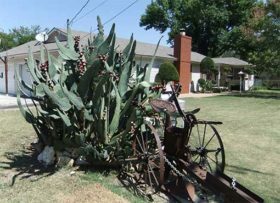 When it came time to park the trailer for good, Janie and David found a cute little place just outside Ft. Worth to call home, near enough to Patric, his wife, and the grand kids for regular visits. They got involved actively with their local miniature horse driving club, made lots of new friends, and had a blast volunteering at church and the local food pantry. 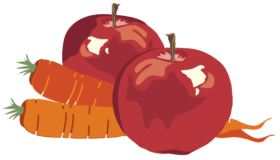 In that time, several changes in websites and shopping carts had taken place, and Chimacum Tack’s online store hit a pothole or two on the information super highway. We were lucky to find a local web host to get us back up and online. The Amdal’s spent seven years as active members of the Crowley, TX community. In 2015, the West Coast beckoned, as Maren had moved out to the San Francisco Bay Area with plans to settle in for good. Janie and David once again packed up, and headed out West. And this time they brought along Mary who had enjoyed many years on the East Coast. 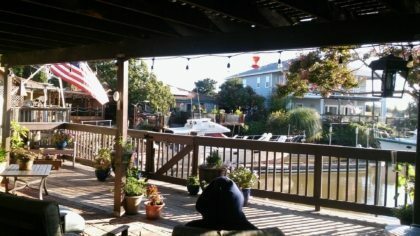 They traded a cactus garden for a waterfront patio! Now all happily settled in to a teeny Gold-Rush-era town overlooking the Solano Slough, the Amdal clan is a bit closer together and enjoying a moderate climate and views of the water every single day. Our 25th Anniversary year brings us a refreshed logo, and a brand new website designed with ease and use-ability in mind. 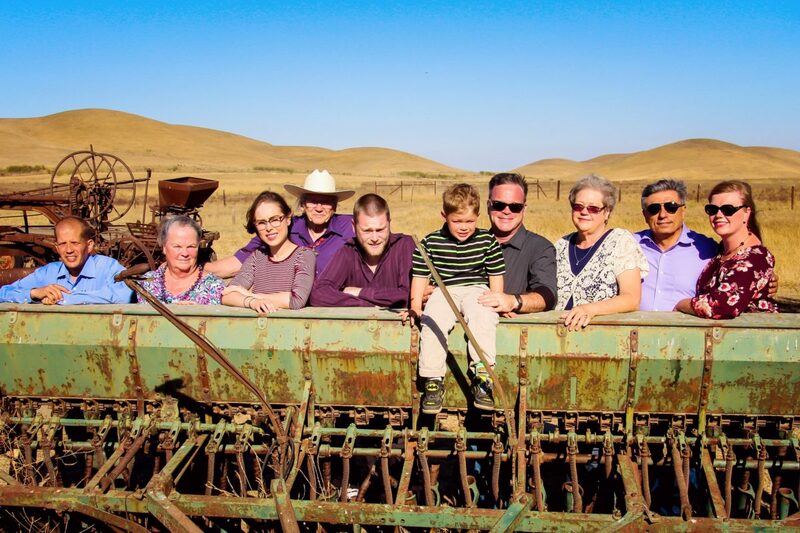 Chimacum Tack is proud to still be a successful family owned and operated business. With so much growth and change over the years, we are pleased to continue to provide our customers with the kind of friendly service you have come to expect. We thank all of you who’ve supported us throughout the years with your patronage and friendship, and we look forward to serving many new customers in the fruitful years to come. great loooking family! Could you possibly tag everyone so we can see who is who? David W., Janie (Nana), Mariah, David (Boppa, in the cowboy hat),Taylor, Tucker, Patric, Mary, Elie and Maren. Love your new site and the colors and the backgroud ofthe business. The best of everything to you! We are enjoying the biothane harness we boufght from you last year! I was so excited being able to order a light driving bridle for my horse. I am excitedly awaiting its arrival and will let you know what we think of it! We’ve added your contact address to our computer and look forward to a long and happy business relationship. Thank you for sharing your business adventure with us–we will stay tuned!